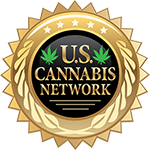 About: U.S. Cannabis network is one of the best Cannabis training universities located in United States. Our university has highly experienced mentors for guiding the students about cannabis business. We teach our students about the various income streams of the cannabis business such as flowers, oils, edibles, flipping Cannabis products (brokering), opening your own collective or dispensary, distribution and production, and much more. We also conduct many seminars which will help people to know more about cannabis business and how to earn money from it easily.